Spanish-based Acciona Energia Global could acquire over 50% in the solar power plant projects Hudzivka-Solar 1 and Hudzivka-Solar 2 of UDP Renewables of Vasyl Khmelnytsky near Izmail in Odesa region. 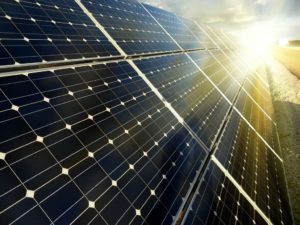 According to the Antimonopoly Committee of Ukraine, it plans to consider the relevant statement of the Polish company Dymerka Solar Poland Sp. z o.o. controlled by Acciona. According to UDP Renewables, the capacity of the Hudzivka solar plants being under construction in 2019 is 25.9 MW. 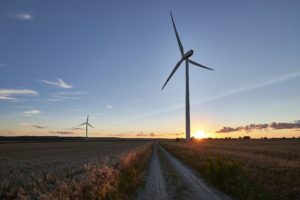 Managing Partner of UDP Renewables Serhiy Yevtushenko told the Interfax-Ukraine agency that UDP Renewables intends to remain in this project after Acciona joins it in order to develop it together. He added that the details of cooperation will be announced later after the successful completion of the transaction. In early January of this year, the State Architectural and Construction Inspectorate reported that it had allowed Hudzivka-Solar 2 LLC to build two solar plants with a capacity of 10 MW each in Izmail. UDP of businessman Vasyl Khmelnytsky in partnership with KAN Development on Wednesday took part in the ribbon-cutting ceremony of the third campus – a new six-story B12 business center with a gross area of 16,900 square meters – in the UNIT.City innovation park (Kyiv). 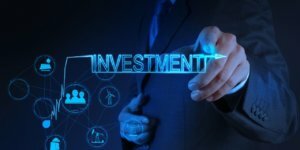 “We have already invested $50 million [in the construction of UNIT.City] and in the next year and a half we want to invest the same amount… It will be a mini-city: a school, a kindergarten, many offices and innovative companies, R & D centers, institutions, co-working space, laboratories,” Khmelnytsky, who is the founder of the UFuture investment group, said at a press briefing on Thursday. According to UNIT.City Managing Partner Maxim Bakhmatov, thanks to the launch of the new campus, the total area of the business part of the park has doubled and now amounts to almost 30,000 square meters. In particular, the total area of the facility is 16,900 square meters, and the lettable area is 12,000 square meters. From the point of view of the residents of the new business center, the focus was made on large corporations – the lion’s share of the facility was leased to Metinvest Digital and the DTEK Academy. In general, about 1,000 people will work in the campus. The facility infrastructure also includes the UNIT.Verse conference space on the ground floor designed for 400 people for hosting big events. According to the founder of KAN Development, Ihor Nikonov, the campus was built in accordance with the U.S. LEED green building rating system. The completion of the certification procedure is expected to be in 2019. In general, it is planned that 300,000 square meters of commercial space will be built in the innovation park, which will be two thirds of the total area of UNIT.City. According to him, in a month KAN Development will start building a residential part of UNIT.City. “In 2019, we will build two more new campuses – a seven-story building and a six-story building. Thus, we will do this year 9% of what we plan as a whole,” CEO and Managing Partner of UNIT.City Max Yakover said. In addition, according to him, in the summer it is planned to open the central square of the city – Event Plaza, which will become the geographical and event center of the innovation park. “This will be the central square of the park – an ancient Greek forum with an area of 5,000 square meters. It will allow us to accept urban formats. These could be exhibitions, fairs, concerts,” Yakover added. 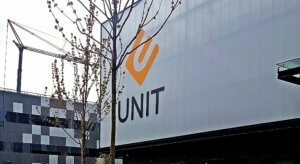 UDP and KAN Development are co-investors and co-developers of the new campus of UNIT.City. 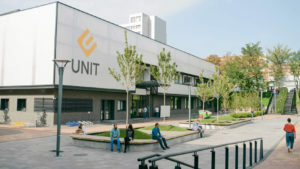 UNIT.City Innovation Park officially opened in April 2017 on the territory of the former Kyiv Motorcycle Plant. On its territory there are co-working space Chasopys-UNIT, the IT-school UNIT Factory, three laboratories, a business campus, a foundation and five accelerators. Ukraine should create equal opportunities and access to education for young talents whatever income they can have. Vasyl Khmelnytsky, an entrepreneur and owner of UFuture Investment Group, made this statement in an interview for AIN. According to Mr Khmelnytsky, he is now bringing the most advanced and innovative educational institutions into UNIT.City Innovation Park he created. “We want to invite as many quality educational institutions as possible here and are ready to offer them favorable conditions. For example, now we are in talks with a school of English from the West. I will lease premises to them at cost price in an effort to bring them in our initiative. After all, it is difficult to become successful today without a good command of English. If you have a good educational project, come to us, we will offer you good conditions,” said Vasyl Khmelnytsky. He mentioned DTEK Academy as an example, saying that they had a strong methodological basis and expertise. 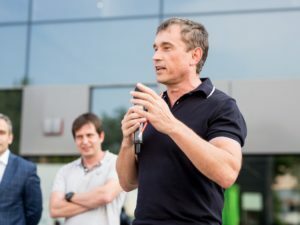 In future, Vasyl Khmelnytsky expects the UNIT Factory educational initiative to expand to have up to 2,500 students. The entrepreneur is set to build something like a student dormitory in UNIT.City in a move to create comfortable conditions for all students, regardless of the wealth of their families: for young people from small towns who cannot afford to rent expensive housing in the capital city. Those who will not have money even to pay for the dormitory will be able to enjoy a credit line with a very low interest rate of 5%. At the same time, Vasyl Khmelnytsky reminded that the school would be tuition-free. Commonly, talented people do not have enough money. Vasyl Khmelnytsky believes that if the tuition is high, the children of rich parents will come to school, without any motivation and ambitions. “If we offer equal conditions for all, we will bring real talents in UNIT.City. These very children will later join businesses based in UNIT.City. Here we have the following business model: the costs do not scare me so much, because I understand the future income from the entire system. This is a long game, and the return will not come immediately, but in a few years,” Vasyl Khmelnytsky underscored. According to the businessman, students having a strong academic performance will have high chances to find a job in companies based in UNIT.City. However, no one will force them to work for one or another company. Mr Khmelnytsky said they would be able to choose either to work for a UNIT.City resident company or land a job outside the park. Vasyl Khmelnytsky emphasized the role of the educational environment in UNIT.City, saying it creates added value. “People sometimes tell me that it is a little expensive here. Indeed, somewhere you can find a price, which is lower by $2 per sq m, but here we have students, schools, universities, other companies, educational programs, accelerators, laboratories, security and so on. If you find no point in this, there is no reason to spend $2 more in this case. However, the bonuses offered by UNIT.City will help you become better, that is why the price is higher,” he said, summing up the project.